Looking for a long lasting lubricant with a luxurious velvety feel? 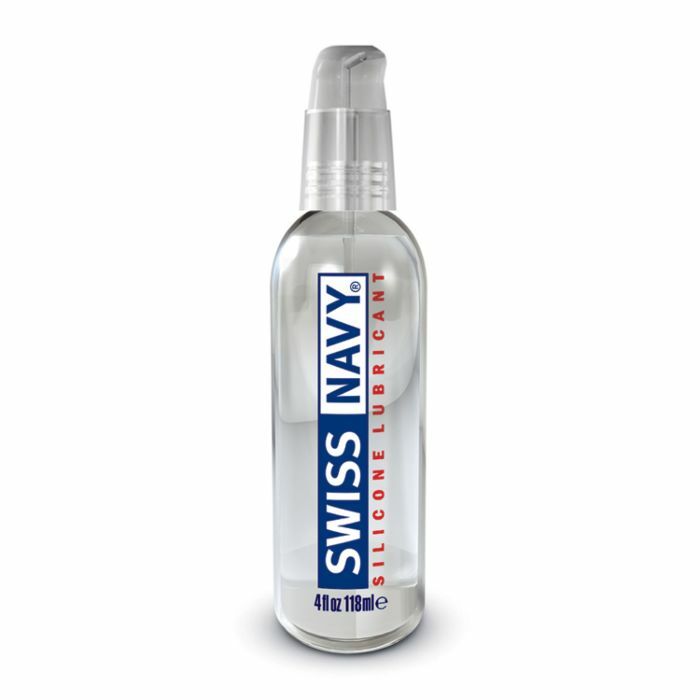 Swiss Navy Silicone Lubricant is a silky smooth silicone lubricant made with the highest grade of ingredients available on the market. With just three simple ingredients, Swiss Navy Silicone Lubricant is hypo-allergenic and stays slick for as long as you need it. Silicone lubricant doesn’t absorb into the skin like water-based lubricants so there’s never a worry of your lubricant going sticky or tacky. To help take care of the skin you’re in Swiss Navy Silicone Lubricant contains skin soothing vitamin E so you can treat yourself even after you indulge in your sexual escapades. Swiss Navy Silicone Lubricant is condom safe, body safe and hypoallergenic but avoid using it with silicone toys.